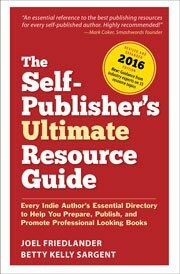 Fellow blogger and copywriter Nina Amir told me she would like to write a review of A Self-Publisher’s Companion. This is always good news for the self-published author. She sent me the following four questions for her article. I’ve been trying to get to these questions ever since, without success. In desperation, I scheduled this article with my handy new WordPress Editorial Calendar plugin. This allows me to actually figure out in advance what will be appearing when on the blog. This entirely novel idea is intoxicating. When you write a daily blog—or file a story on a daily deadline—you develop an almost Zen-like disengagement just to deal with the task. But having an actual schedule of future posts sure would help. And that’s how I ended up answering Nina’s questions today, because it was on the schedule. But there’s something in these questions for you, too. That’s because Nina is a writer’s advocate. She understands the questions facing writers, and particularly writers who want to become authors. I think you’ll sense this right away when you see the questions she gave me. I was getting frustrated with the difficulty of making anything out of the hundreds of articles I had written. I knew that there was a lot of great content, but I felt that people couldn’t get to it. It also felt incomplete, as if I had put in a lot of time and energy creating a lot of pretty cohesive writing. I wanted it to add up to more than the sum of a lot of blog articles. What are three tips you’d offer bloggers who want to book their blog? Take a new look at your blog archive, and try to see the themes running through the articles. When writing a lot of articles it’s not unusual for your writing “voice” to vary. Watch how different articles flow together. Look beyond the way the articles are formatted, to the text itself. You can always change or eliminate lists, bullets and other attention-grabbing devices. What are the one or two most important things that make the booked blog publishing process successful? Well, I’m not sure I’m ready to answer that one, since my book has only been out a couple of weeks! But I think you have to mold your manuscript to the over-arching themes that you most want to address. The book needs a focus of its own so that the individual pieces have an obvious role to play in the final work. Articles that used to exist on their own have to be able to advance your main theme. Why do you think other writers or bloggers should consider booking a blog or blogging a book? When I was writing the introduction to the book, I talked about the similarities between blogging and self-publishing. I think bloggers are in an ideal position to move into book publishing. Most bloggers are do-it-yourself inclined, tech-savvy, social-network-connected and knowledgable in keyword research, search engine optimization and all the other internet marketing tools we need to learn. Print publishing and traditional e-book publishing has been pretty much ignored by most bloggers, and I think that’s due for a change. I’ve been fascinated with the world of blogging, having come from the world of indie publishing. One of the side effects of the digitization of text, the movement of books to reflowable e-readers, and the changing definition of “books,” is that many more people are capable of publishing a lot more different kinds of text documents than ever before. There are entrepreneurs right now publishing articles, novellas, how-to instructional booklets and every other type of text you can think of in e-book formats and selling them in the Kindle store among other places. Bloggers and other online content creators are ideally situated to broaden their own “self-publishing” to print books and e-books and other forms of useful, entertaining, salable text. Got anything you want to publish? You really can do this with almost any segment of posts; don’t just think books. Think special reports, ebooks, etc. I produced special report I give away and sell out of a series of posts I produced over the course of two weeks or so. I’m doing it now with a group of posts I wrote on my dance blog, My Son Can Dance. I’ve taken about 15 or 20 posts related to summer dance intensives, and I’m creating a short e-book– a guide to choosing and getting the most out of a dance intensive. I’m editing the posts, adding to them, and writing new copy to fill in gaps. I have to do the same with the book I blogged at How to Blog a Book, my other blog. Even thought I blogged a whole manuscript, it needed editing — developmental and copy — and, therefore, I’m adding and changing content as well. Joel, the review of your book will be live in a few minutes…and your four questions will be copied into a post that will go live on Monday! Thanks for answering them here (although I asked for them for my blogs…) :~) Both posts will appear on Write Nonfiction NOW! and How to Blog a Book. Thanks so much Nina, and thanks for being understanding when I changed your request, it gave me a great way to talk about these subjects so I thought we could both benefit from your thoughtful questions. Thanks, Joel. I think I really am going to start going thru the posts this week and organizing the idea. Be funny if almost 40 years after writing my first bad, unpublishable novel at 17, I actually did do a book about my work making books. Pretty timely post and replies. My thanls to you, Joel, as well as Nina and Roger. I just began to think about booking my blog this past week. I started with the idea of turning all the posts into a PDF. But now I’m thinking of reorganizing all the posts into a few categories: being a freelancer and finding paying work, promoting oneself and one’s freelance practice, designing books and making pages, typefaces. I’m thinking, too, about, not exactly rewriting, but filling in blanks that I realize the original posts raise. And then doing it as a genuine eBook/iBook for Kindle and iPad. It sounds terrific, Steve, you should do it. Just doing one part at a time, you’ll finish faster than you think. Put me down for a copy! Nina: congratulations on 4 concise, but thought-provoking questions, and Joel, congrat’s on 4 good answers. I enjoyed the story that the composite post communicated, as well as the lesson for all of us that to get things done, we have to schedule them. All in all, a nice experience and someone new to follow! Thanks, Roger. Sometimes you evoke different answers when you limit how much you can write. Asking and answering these kinds of questions is a continuing challenge to be useful and practical. Great to have your insights.